J Doolan serviced storage facilities are purpose built and designed to safely and securely store your furniture, antiques and household effects. With state of the art box-built containers and 24-hour security monitoring, you enjoy peace of mind knowing your belongings are safe, dry and protected. 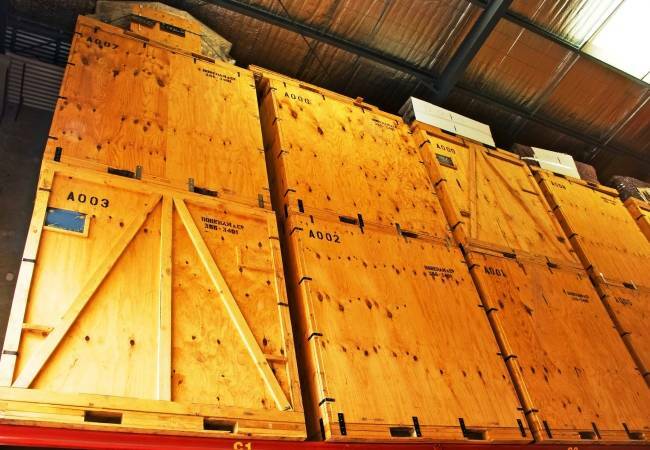 We understand that storing valuable pieces of art or furniture can be a daunting experience. With decades of industry experience, J Doolan Removals can give you the information and services needed to protect the financial and sentimental value of your belongings. We can assist you in wrapping and protecting each of your items in the best possible way to ensure their longevity while being kept in storage. With the added features of state of the art security surveillance and storage boxes, you can enjoy complete peace of mind from start to finish. At J Doolan Removals, our storage facilities are fully equipped with the latest security technology. With 24-hour CCTV surveillance and security monitoring, you can trust that your most precious and valuable belongings are safe. The design of our storage boxes ensures that instances of any damage are far and few between, as are any attempted breaches of security. If you’re looking for a premium, stress free services storage solution there’s simply no better choice than J Doolan Removals. Contact us now on (03) 9336 3147 to discuss your storage needs and find a fast solution!